This house is now at 331 Fort Johnson Road on James Island. Current status  Original property is part of the former Charleston Navy Base. 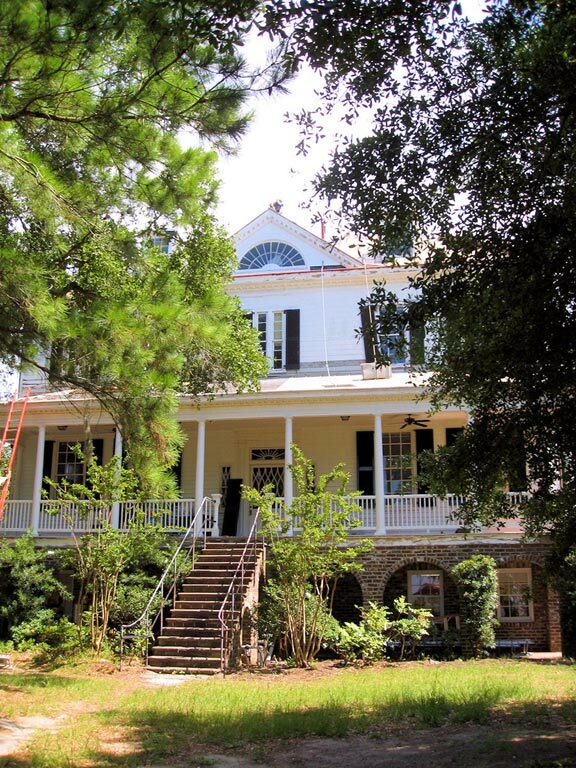 The house was moved to James Island, and is part of the Hollings Marine Laboratory. 1819  The original 213 acres tract was sold to Nathaniel Heyward. He owned numerous lowcountry plantations (1, p. 3). 1861-1865  During the Civil War, Union soldiers used Marshlands as headquarters for the United States Sanitary Commission. 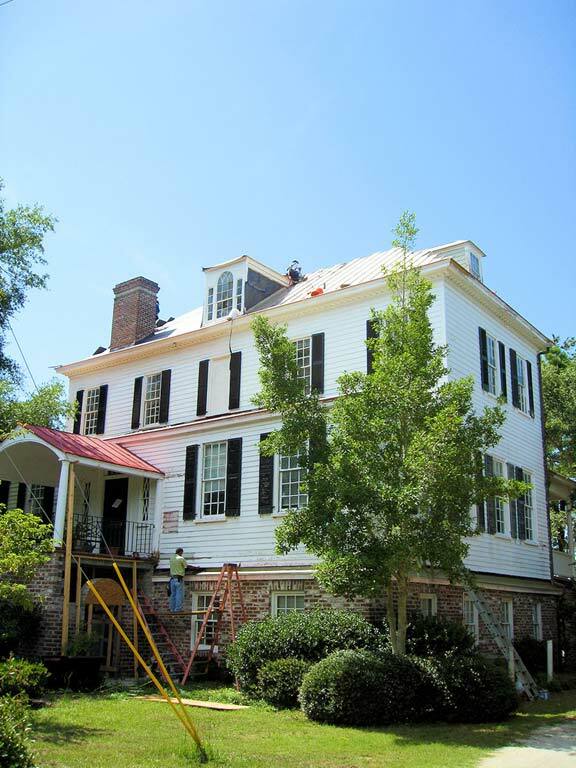 1961  The house was loaded intact aboard a barge and floated from its site within the bounds of the Naval Base to James Island. The clapboard house with a brick foundation was constructed in 1810. In 1961, it was moved to James Island (1, p. 2).